Though mostly I try to work, play with my kids, walk outdoors, read Sebald and Anne Carson and Gogol, and generally not muddle up my life by worrying about the ways literature and capitalism intersect, there remains one thing I try not to delude myself about. How a book is dressed—how it’s wrapped, how it’s bound, how it’s covered and colored and presented—this can make the difference between finding the right reader or missing her. Never has this been proven to me more assuredly than when Martha Stewart told me her daughter originally picked up my first book, The Shell Collector, because of its jacket. 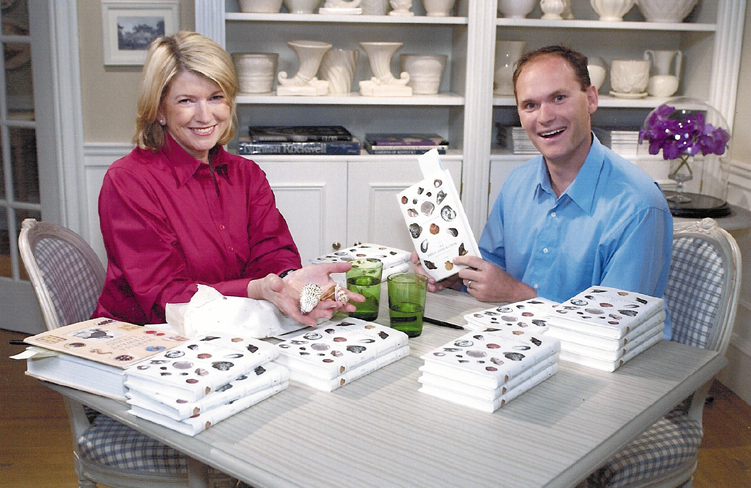 I was sitting in Martha’s TV studio and Martha was about to ask a couple million t.v.-watchers to consider reading my weird short stories, and all of this was initiated because a designer I’d never met engineered a fetching cover. For a book to exist in the world, it has to find readers, and one way for a book to find readers is to look right. When the jackets arrived for Memory Wall, there was one I liked immediately—one that looked significant, and appropriate, and interesting. 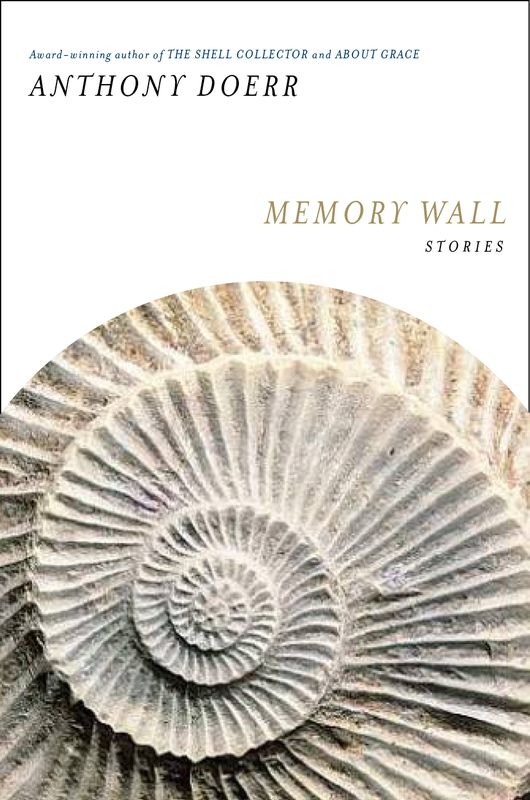 There aren’t ammonites in the book, but there are patterns, and accretions of image (birds, seeds, orphans), and the repetitiveness—the way the text on the jacket seems to be tucked between the ammonites, subsumed by them—suggested to me the fundamental thread of the book: that just as new memories are being made, old memories are being erased, eroded, blanketed over. I was thrilled to see that design. I’m still thrilled to see it. The most difficult thing about packaging a book of stories is that you want to be somewhat abstract so that you can have a cover that represents the collection, and doesn’t necessarily single out a particular story. When we originally discussed the concept for the cover, we settled on the idea of some kind of fossil. It was a perfect symbol of memory. I honestly can’t remember if it was a suggestion by the author, editor, or if I came up with it. 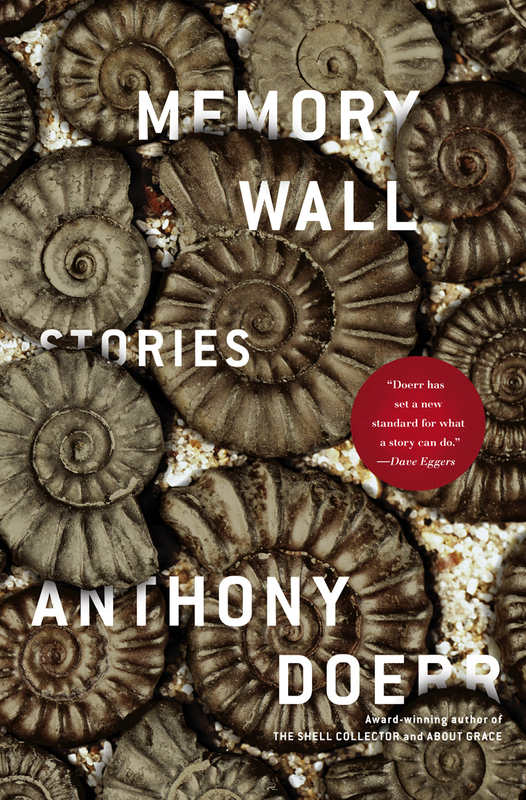 The other important thing that we wanted to consider was that the cover in some way evoke The Shell Collector. I started researching images of fossils and came across lots of beautiful drawings similar to The Shell Collector, but didn’t want to be derivative. 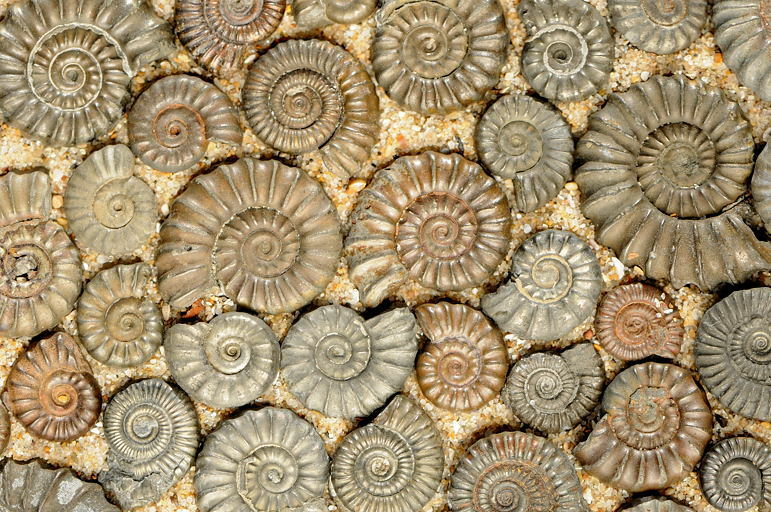 Then I stumbled upon this image of iron pyrite ammonites. I loved how it basically formed a wall. To reinforce this idea, I started layering the fossils onto parts of the type to give it depth—words fading in and out of the wall, like memories. In my first round of designs I had three different directions. I got very lucky and was able to get one of those approved. It was a very smooth, drama-free cover process. I wish they were all like that. Collecting these iron pyrite ammonites made my dog a fossil orphan for the morning; the search for them was so bewitching he befriended strangers who threw his toy for him. When the golden gleam emerges from the mud you know that it hasn’t ever been seen by human eyes before; so many thousands of years old that the warm seas they swam in have been and gone. I took the photograph a few months later, using the low winter sunlight slanted over the ammonites spread out on a tray of sand to keep the warm golden colour in them. I collected them at Lyme Regis which groans under the weight of literature: Jane Austen’s setting for both a book (Persuasion) and her own romance, John Fowles and The French Lieutenant’s Woman, Ian McEwan’s On Chesil Beach, and all the other Dorset authors. But how can you not be inspired to try to capture a story in a place where you can see life-forms that existed so long ago. It is the action of the sea eroding the mudslide and cliffs that reveals the fossils. Many of them pass unseen into that marine embrace. I swim in the sea all year, everywhere I go. For me the sea is a receptacle; rivers wash minerals off the land, waves take cliffs, messages in bottles, fossils; all memories of distant times and places merging in the salty water. In fact, I only realised my photo was on Memory Wall when you e-mailed me. So I had a look at Anthony’s Web site and read the book description. It felt weird, in a good way, that while I was mooching around on the beach collecting ammonites and then months later making a photograph of them the thoughts sloshing around in my head on time and place matched the thoughts someone else was having writing those stories and designing the book cover. I have a bit of a heavy workload at the moment. I have been away for a month on a reconnaissance trip for my Ph.D. research and I have three weeks before I am off on some more ethnobotanical adventures. Meanwhile, International Plant Science day is happening on May 18th and I am putting together an exhibition for a local farmer’s market and a guided walk. (You would not believe the amount of paperwork organizing a twirl around Kent’s orchids takes). I have a presentation to put together for the Economic Botany Conference in June. Plus, I have to work; a few commission deadlines coming up, and one editor wants a new photo of me for the column I write but with sun on the water. (I have not actually seen the sun since I got back from Turkey—just clouds.) 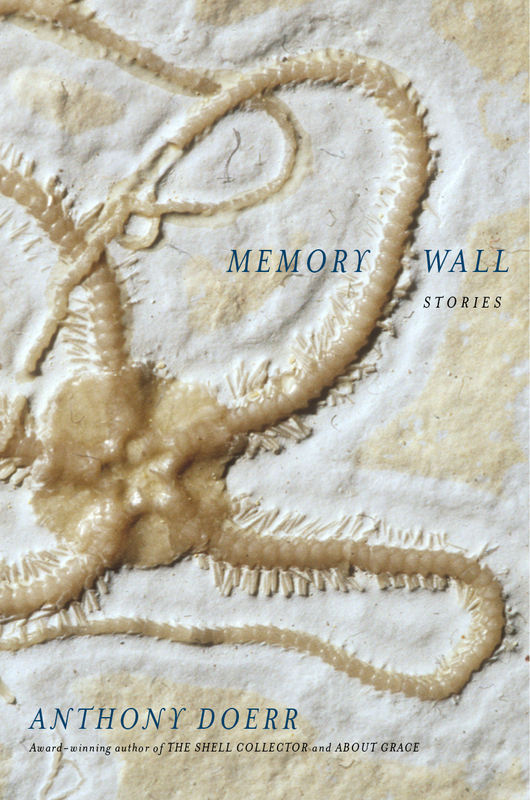 But when I head off in June, I think I’m going to pick up a copy of Memory Wall and enjoy it immensely while travelling. Definitely paperback for me—I am working out the details with my insurance for the cost of repairing my Mac in Turkey (only possible in Istanbul so I had an unexpected trip from the mountains). The computer was destroyed by tea; by contrast, the floras (plant i.d. books) sustained no significant damage. Printed books are more forgiving than electronics if you drop them in the bath or pour tea on them so I try to keep the delicate technical equipment to a minimum. I am a Luddite. This is a great article. I’m going to try pinning it on my Pinterest board called “Book Covers That Work.” I have also posted it on my blog’s Facebook page (Yours In Books) with accompanying tweet. Very informative and satisfying story!